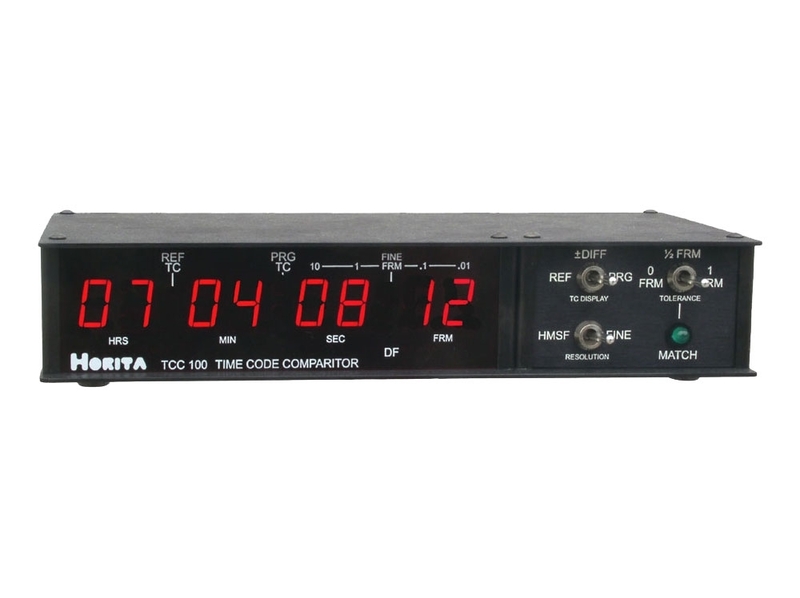 Eight 0.56" red LED characters display either one of the two time code inputs selected by the user, or the time difference between the two time code inputs. Select Hrs/Min/Sec/Frm "coarse" time difference resolution or .1/.01 Frm "fine" time resolution. 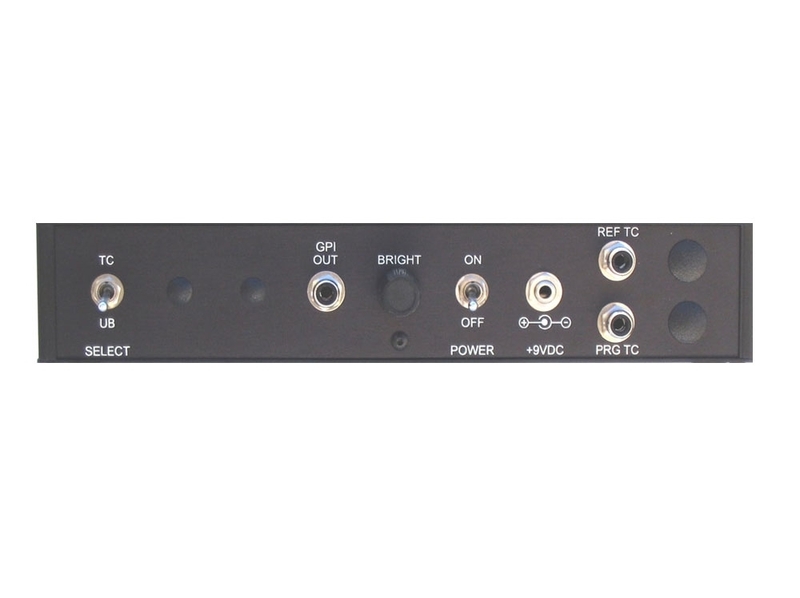 Green LED "match" indicator and associated GPI out (general purpose output) "pull down" output signal when the time codes match within the user selected match tolerance. Selectable 0, 1/2, or 1 frame "match" tolerance. Select display of time code or user bits for the two time code inputs. Brightness control allows adjusting display intensity for indoor use in a darkened room or outdoor use in bright light.